ALIAVTX AVF7000 is a Vortex Flowmeter based on Von Karman theory of vortices generated by a bluff body in the pipe. The number of vortices are linearly proportional to the volumetric flow in the pipe. The AVF7000 flow meters is versatile flowmeter widely used for Gases, Steam &amp; Liquid applications. There are no moving parts and comes with either Flange or wafer connection. 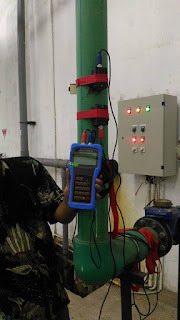 Standard configuration have local indication for flowrate and total flow as well as a 4-20mA output functions. The microprocessor design can filter out erroneous signals as well as interfence caused by pipe vibration. +/-0.7% value of reading 3 to 30VDC, 20mA Max.